I was pretty stoked when I read the first book in this series, Nemesis, last year. 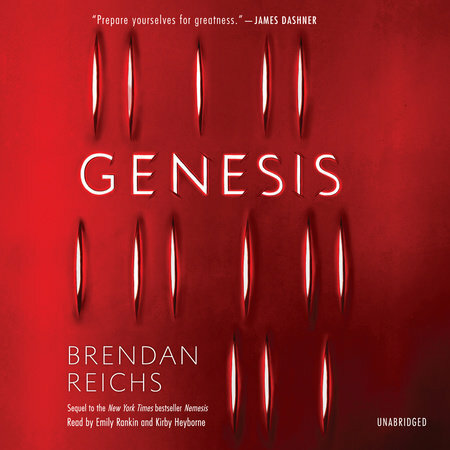 Reichs left me wanting more, and this one was equally satisfying! The story continues where Nemesis leaves off, approximately three weeks after the Guardian reveals the truth to the kids of Fire Lake about how Earth has been destroyed and that they are all living in a virtual reality bubble as strings of code. The scientists at Project Nemesis have found a way to bring the kids back as real living beings by downloading their codes into clones, but the system can only handle bringing back a certain number of kids. So, how do you decide who gets to come back to life? Easy! You pit the kids against each other and make them kill one other! Yes, it's sick and twisted, but this is the only way to ensure that the strong will survive. It is a survival of the fittest. Each kid has a limited number of "resets," just like the Beta patients experienced with their birthday killings. Once they are used up, they won't be coming back. Reichs really knows how to spin a dark and exciting tale. Tack made my heart ache, and he puts his love for Min to the test. In a game of survival, you really find out what someone is made of. "I don't want to become an animal just to survive. That's the difference between us, I guess." 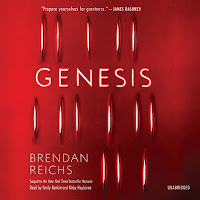 I believe this was originally planned to be a duology, but Reichs recently announced that there will indeed be a third book! Yippee!